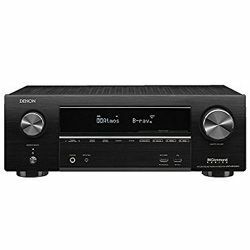 The Onkyo TX-8140 vs Onkyo TX-8220 features comparison should help people choose a simple receiver that meets their requirements. 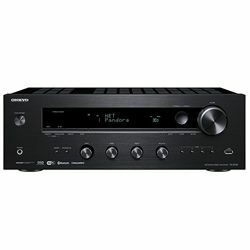 The Onkyo TX-8220 vs Onkyo TX-8140 total output power comparison shows that the TX-8140 is more powerful with its 160 W versus 100 W that the TX-8220 outputs. Both models are 2 channel solutions. These models use the Wide Range Amplification Technology. The TX-8140 features the Asahi Kasei AK4452 32-bit digital to analog converter. 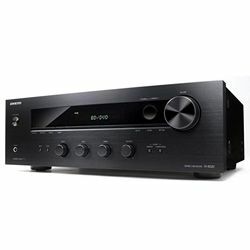 The Onkyo TX-8220 supports Bluetooth only, while the TX-8140 supports Wi-Fi and you can also access popular audio streaming services, like Pandora, Deezer, Spotify, etc. Both models are built-well and customers do not have any issues with the ports. The signal is stable and noise-free. These models do not feature the automatic audio calibration solution, but you still can adjust balance, treble, and bass. Both models have several common components – a display, a large volume dial on the right, a power on/off button on the left and some buttons right under the display. 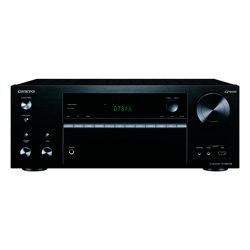 The Onkyo TX-8140 has additional buttons, dials (input, bass, treble, balance) and a USB port, while the TX-8220 has small round buttons to control input, bass, treble, and balance. These models are provided with ergonomic remote controllers which allow you to access all menus and features you need. However, both models can be controlled using the buttons located on the receivers themselves. The TX-8140 is bigger – compare its size 22.5x16.5x10.3 in versus 12.9x17.1x5.9 in (the TX-8220 size). The weight is 18.5 and 15 pounds respectively. It is easy to set up and use. The network features are easy to set up as well. The wireless modules perform well – the connection is stable and you get no lags. The output audio is clean, crisp even at high volumes – you get no distortion at all. Plus, it has enough power. It has many input ports (even a phono port for turntables) so you can connect various devices. The receiver may run hot. It may disconnect repeatedly from the Onkyo Phone application (you may need to direct it to another input and then back again to reset). 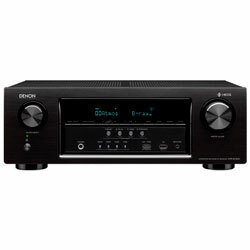 Great compatibility with various modern devices – the receiver can be paired immediately. This model is easy to program and set up. The output sound is excellent – the sound is deep, crisp and natural. The Bluetooth module performs extremely well – the connection is very stable. Some customers find this unit to be a bit weak.